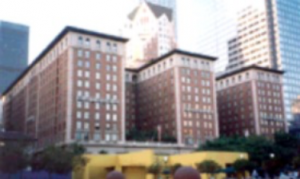 Description: The Millennium Biltmore Hotel was experiencing severe effects of corroding pipes. Limited access to the piping system, historical ornate and irreplaceable structures and wall fixtures compounded the problem. The pipe restoration project completed by ACE DuraFlo® Systems encompassed a combination of hot and cold water lines ranging in size from Â1?2 inch to 3 inch. The Millennium Biltmore Hotel restoration work of the piping system required no cutting of walls, ceilings or bathroom areas. Presidents, Kings and Hollywood celebrities since it opened in 1923. One of the major engineering challenges facing the operators of this world-class facility has been the damage from the effects of corrosion of the buildings piping system. Limited access to the piping system, historical ornate and irreplaceable structures and wall fixtures compounded the problem. The failing waterlines required replacement and the cost, damage and loss of revenue to the property from a traditional style repipe were out of the question. A modern approach had to be the answer. Pipe restoration. The pipe restoration project completed by ACE DuraFlo® Systems encompassed a combination of hot and cold water lines ranging in size from Â1?2 inch to 3 inch. Metallic composition of the pipes included copper, brass and galvanized steel. Conventional repairs were carried out ahead of the restoration project. The Millennium Biltmore Hotel restoration work of the piping system required no cutting of walls, ceilings or bathroom areas. Asbestos abatement was not an issue as pipes were accessed away from any asbestos coverings. 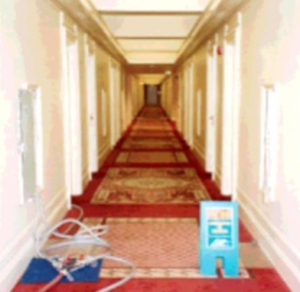 The ACE DuraFlo® process of pipe restoration was completed at the same time and on the same floors as filming, was being done for the TV series the West Wing.